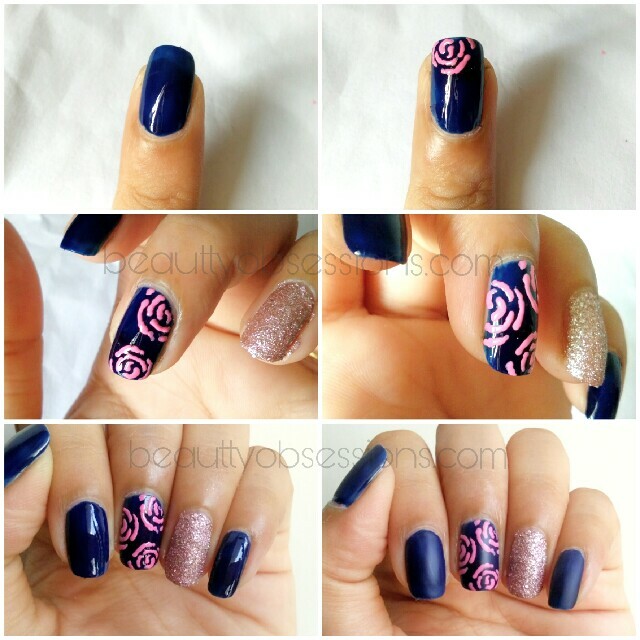 Pink Roses on my Nails - Step by Step Tutorial..
Hello... welcome back again..Have you read my haul post yesterday ? 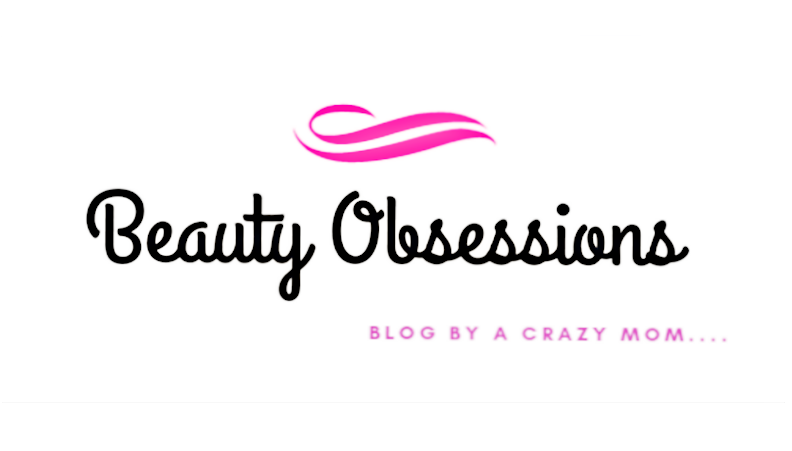 If not then read HERE ,because today's post is related to that haul post.. 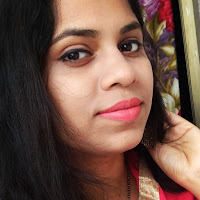 I have hauled a matte nail polish top coat and few nail studs recently which i have shared on that haul post and also shared a nailart picture in that same post.. And i am going to share the step by step tutorial of that easy yet classy nailart.. 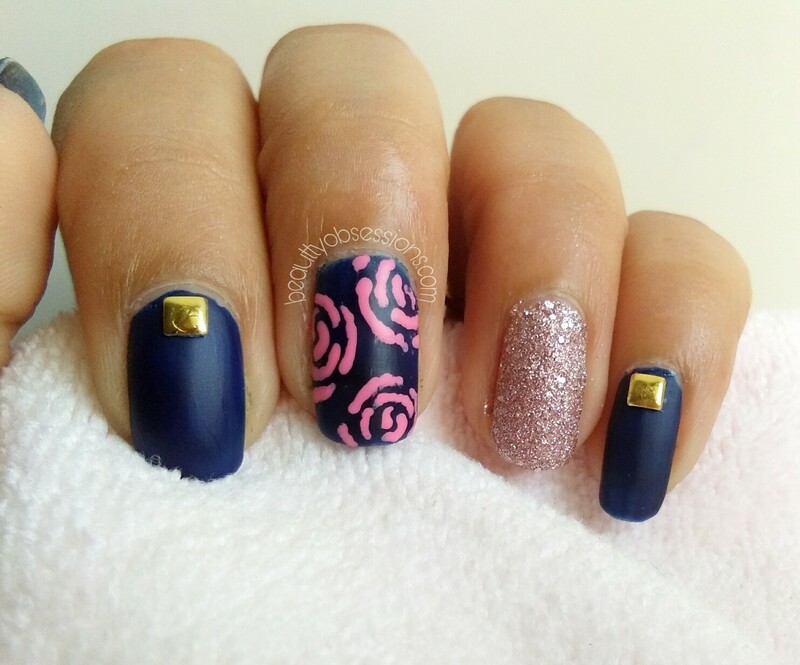 The nailart is perfect for night parties and cocktail parties.. Hope i am not boring you..
Now I am keeping all the chitchats off and let's get into the tutorial.. Ohh yaa ,i have named the nailrt as 'Pink Roses on my Nails' .. How is the name ? 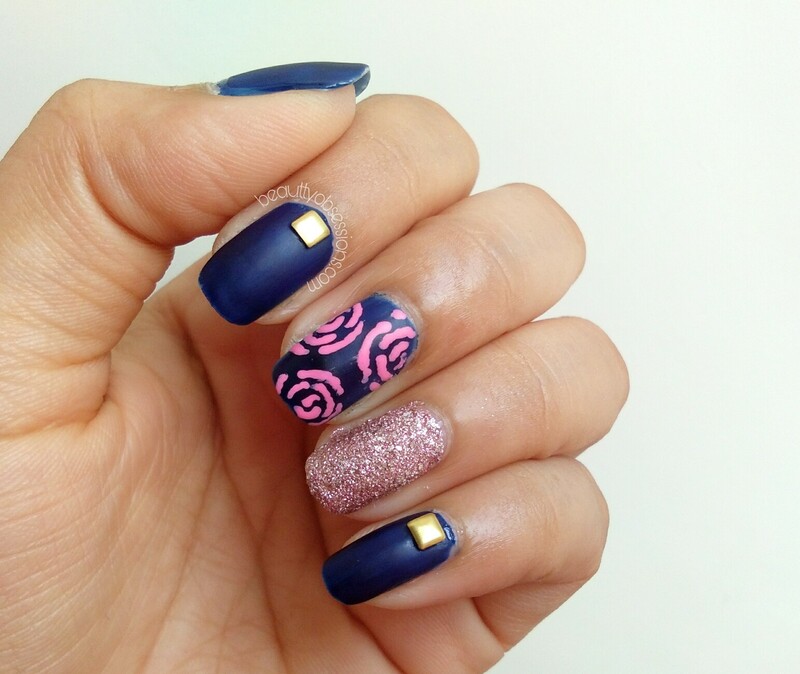 1- After applying the clear base coat , i applied the dark blue polish on nails except the ring finger and apply the glitter polish on ring finger nail. 2- Now drew rose flower pattern on the middle finger nail using pink polish through a toothpick. 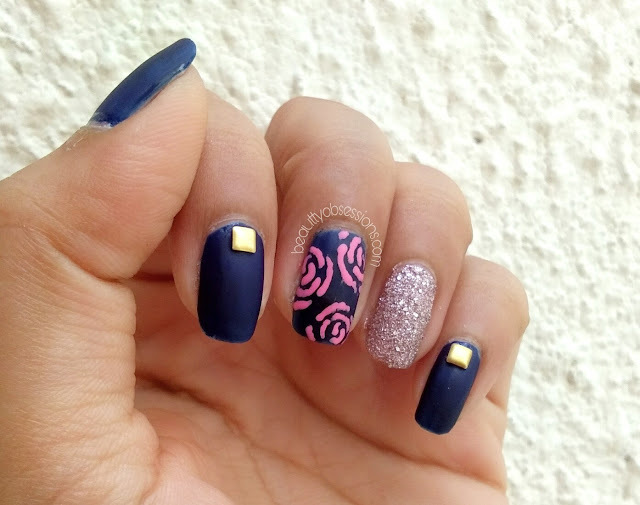 I have shared close pics of roses,you can follow that ..
3- Now put a tiny drop of top coat on the index finger and small finger nails and carefully put the square studs over it and wait to dry completely ..
4- Now apply the matte polish top coat and it will become a matte nailart within few seconds.. Now it's finish and be ready to flaunt your beautiful velvety rose nailart ..
Hope you found this nailart easy,simple and beautiful .. If you have any request nailart ,let me know in comments below..
Love it 💋 what is yhe glitter paint shade name that you have used...? You are truly amazing dear! The art is just awesome! you Got a big fan in me now. such a lovely pics. This looks awesome!!! 😍😍 Will definitely try to recreate this during weekend!! 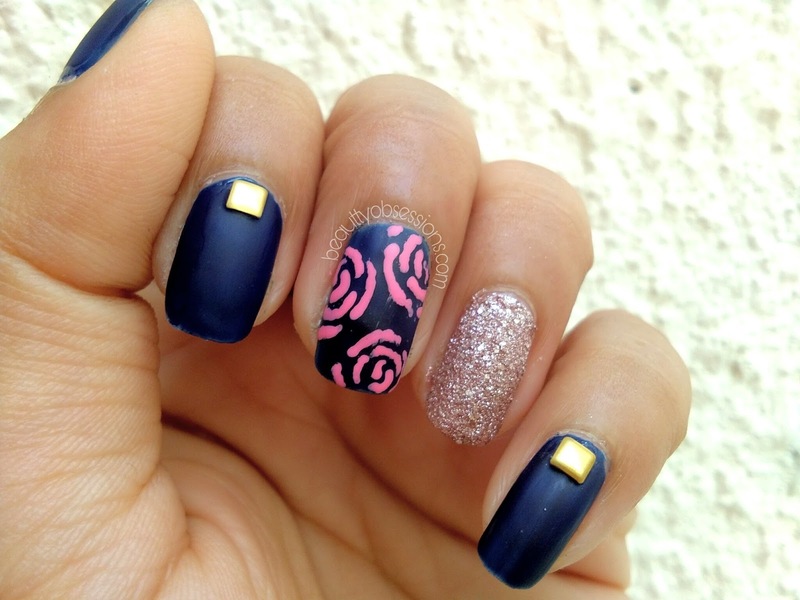 Just love the nail art babe. It is perfect, neat and crisp. 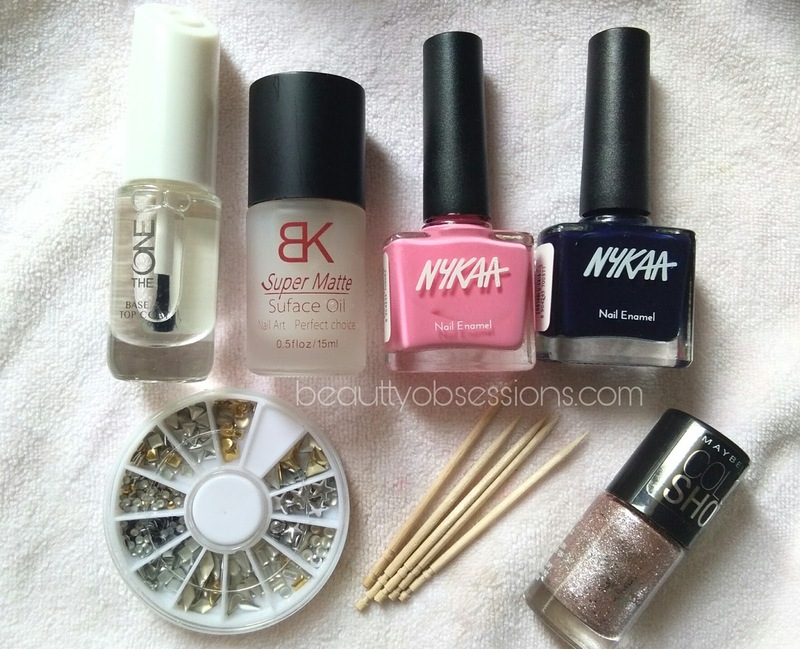 Simply loved your nails. How beautifully you have carved the roses. 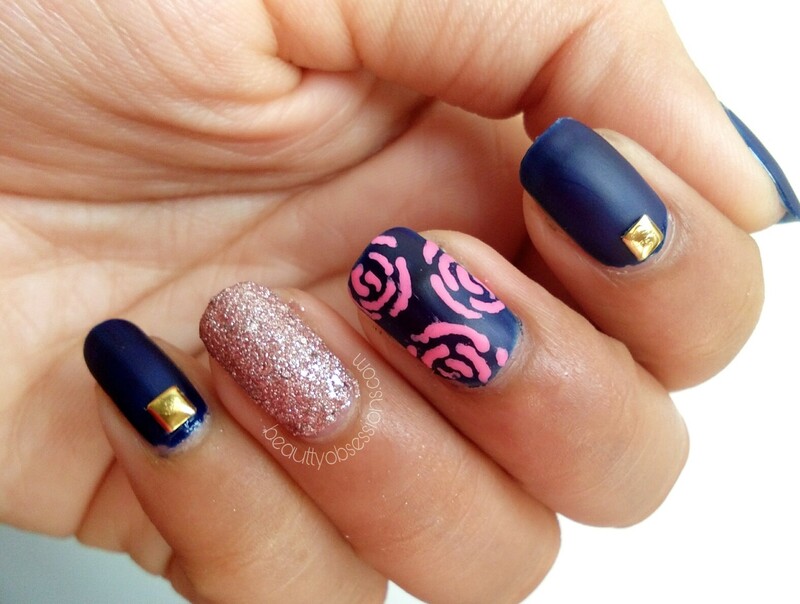 The matte nails are so pretty!